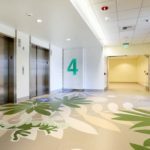 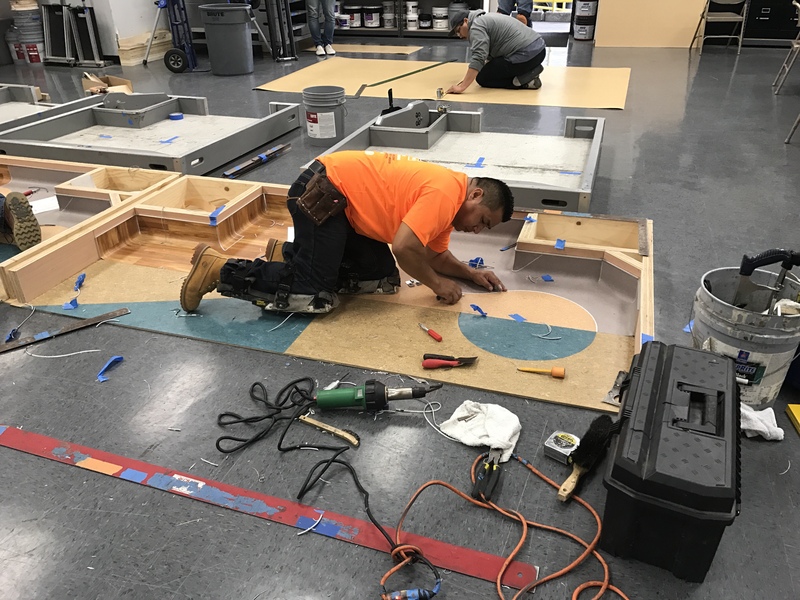 Each of them was given a Work Order with a floor plan and specifications, a space to work, and enough material to fulfill the scope. 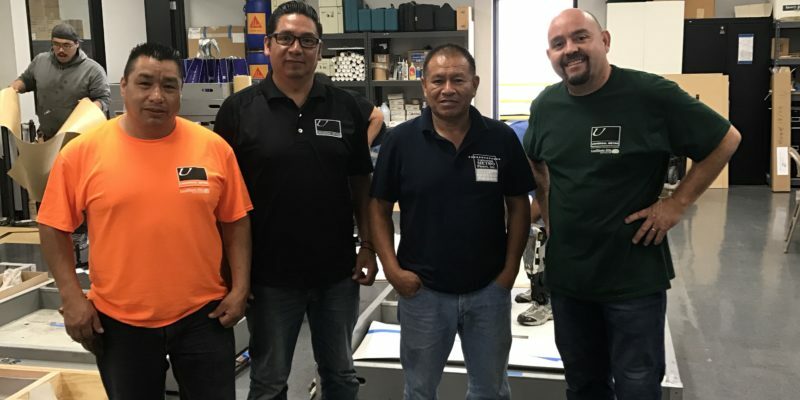 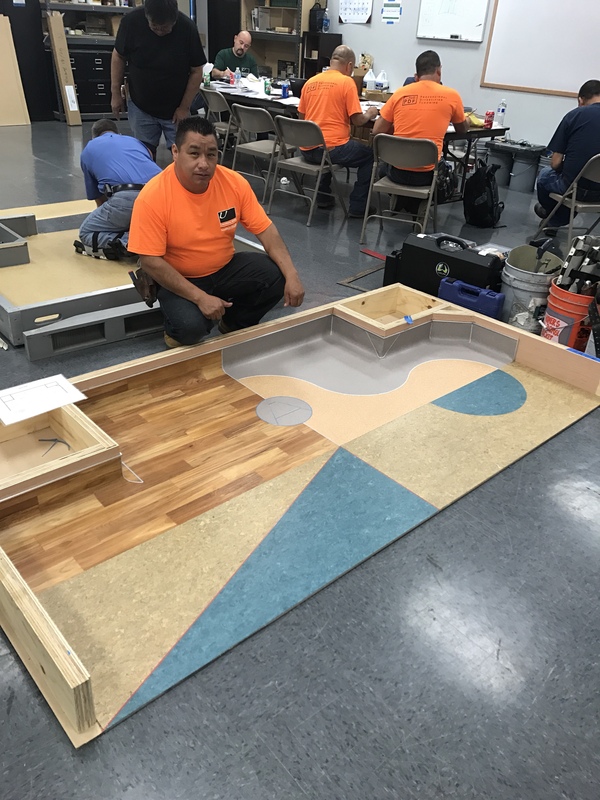 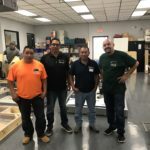 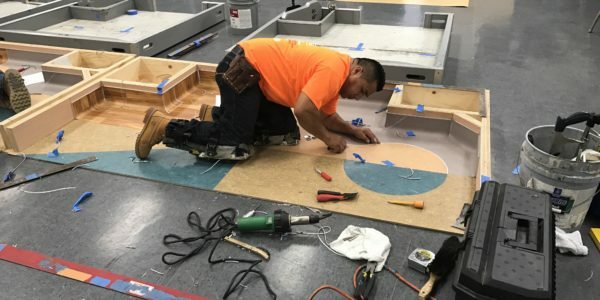 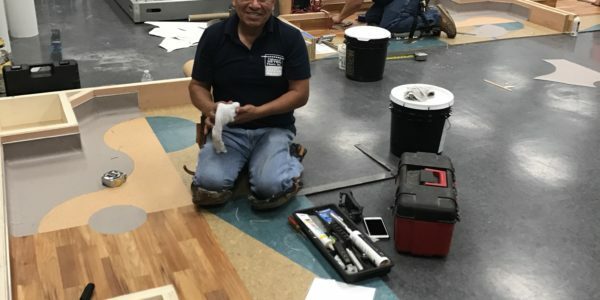 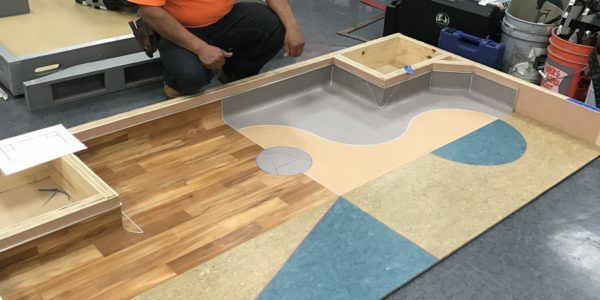 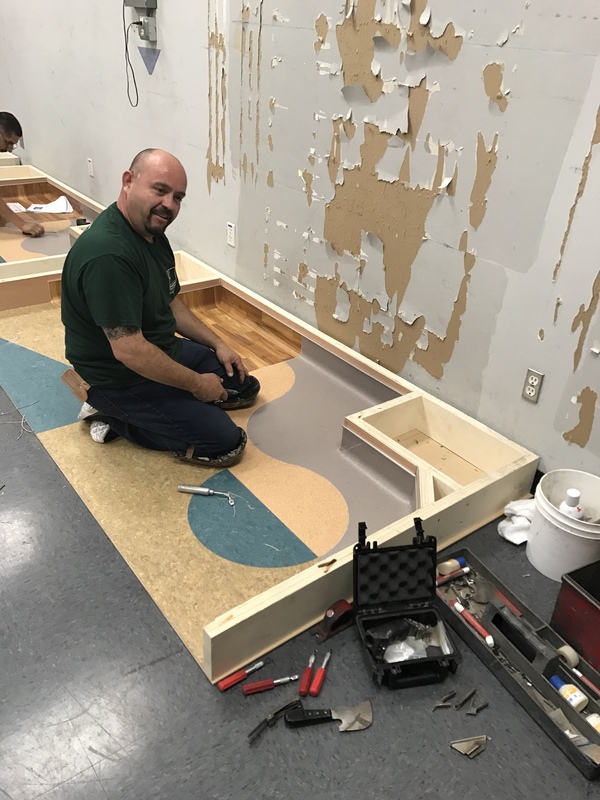 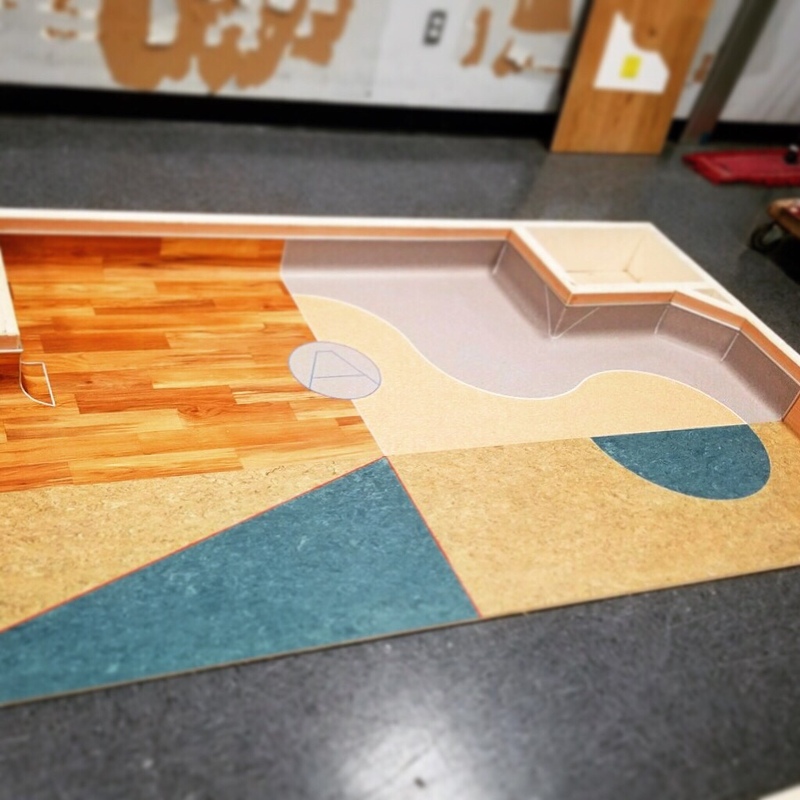 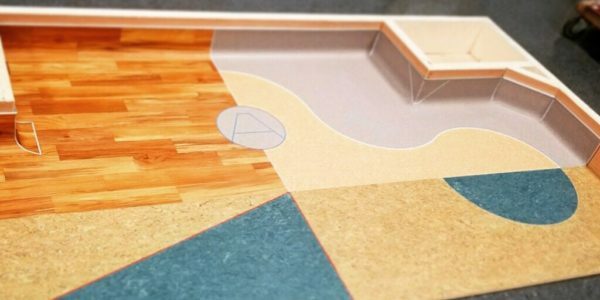 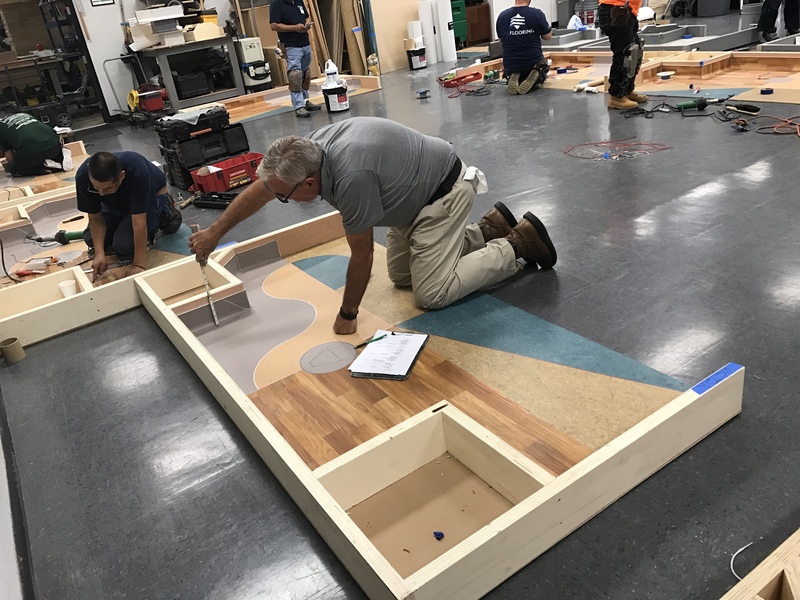 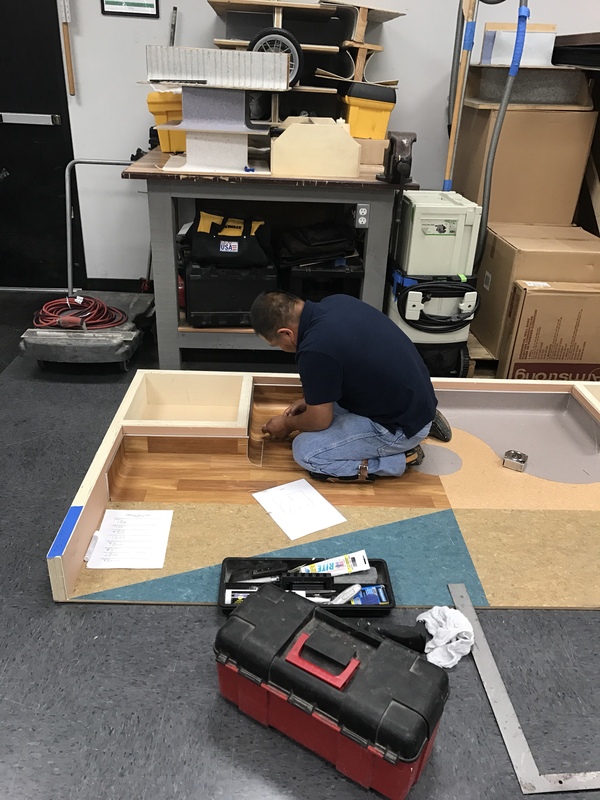 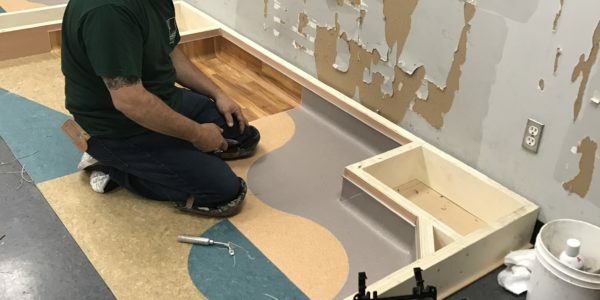 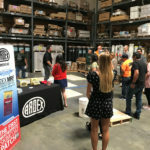 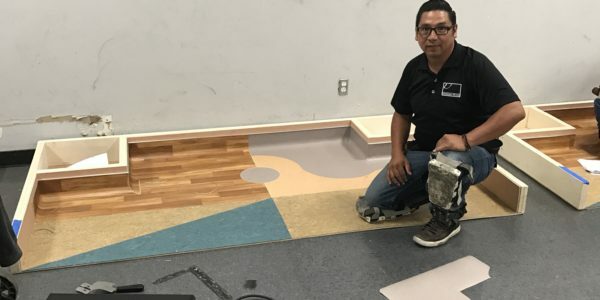 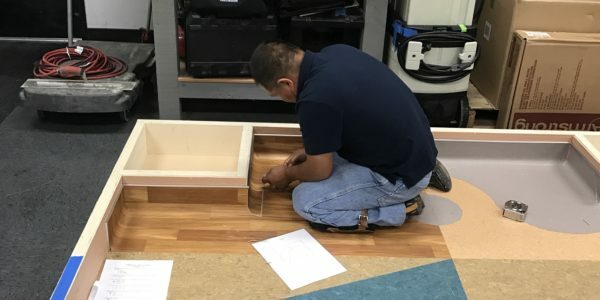 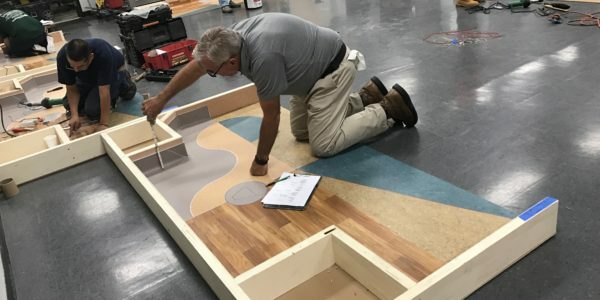 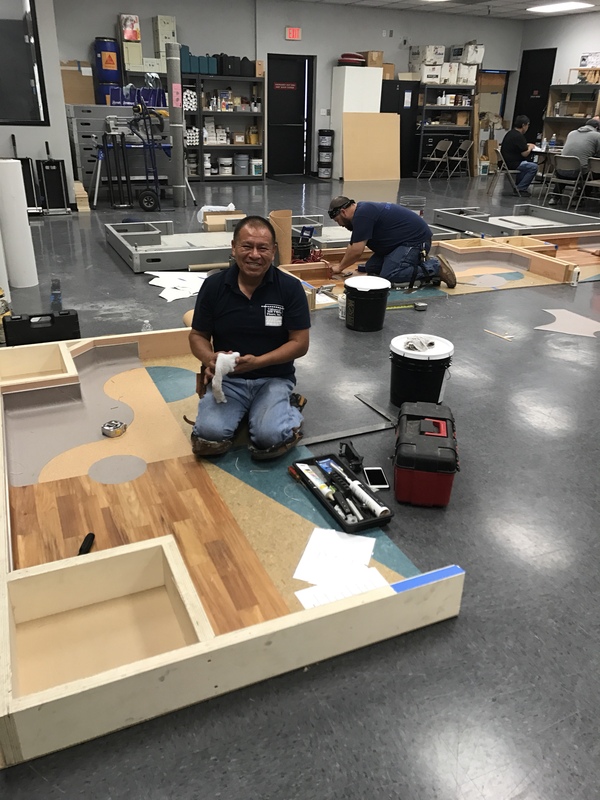 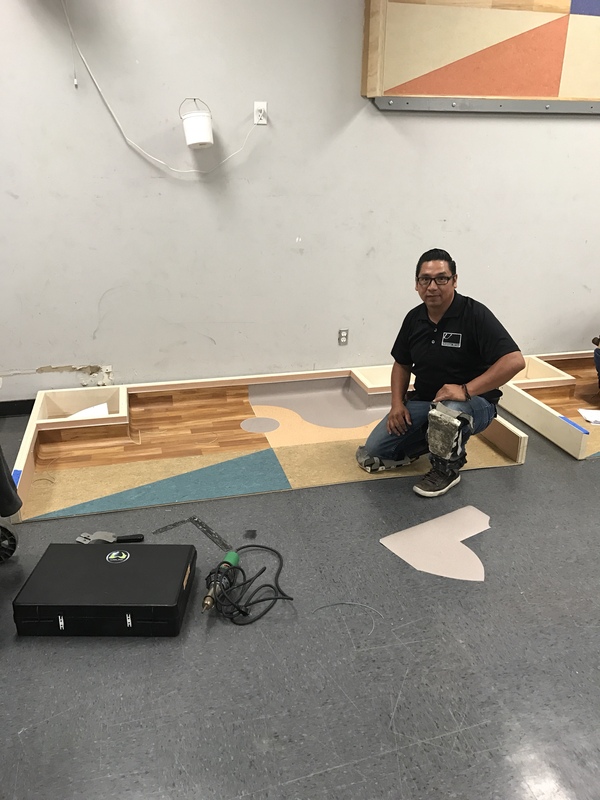 These guys met the challenge, preparing the substrate for differences in thickness / gauge, custom cutting arcs and designs, and working with various finishes and backings – Linoleum, Homogenous Vinyl, and Heterogenous Vinyl – complete with integral self-coving and heat welded seams. 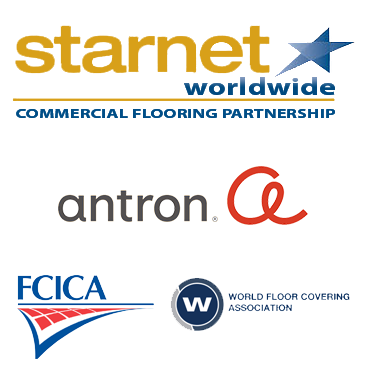 Congrats you guys, and thank you Tri-West and Armstrong for facilitating the opportunity!